Easily one of the most professional, no hassle, easy to work with companies my wife and I have ever had the pleasure of working with. Joe was extremely helpful and not pushy at all. The carpeting, even 6 months later, looks incredible. You want the best? 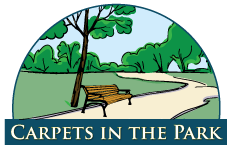 Go with Carpets in the Park. Thanks again you guys! Just Great Workmanship and Quality! We are 100% Satisfied, the absolute best!